So you want to build your own house and you’re not a general contractor. Without a doubt building your own house is a great way to save a small fortune on owning a home. I can personally vouch for the cost savings as I have done it while maintaining my full-time day job. 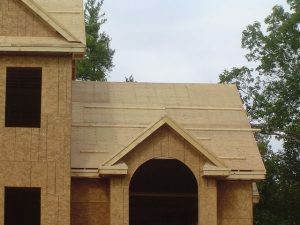 To be upfront, however, building your own house is not easy and requires a lot of work, and there will be problems that crop up that will cause schedule slips and cost overruns. Ultimately how you plan ahead will determine how successful you’ll be in building your own home. To build your own house takes a special type of person, particularly if you plan on being your own general contractor. Building your own house involves making thousands of decisions and dealing with a lot of people. Consequently it takes a special person who is a planner by nature, detailed orientated, communicates effectively, and can work with all types of people. Building your own house and acting as your own general contractor can save you up to 25%, compared to buying a custom house from a builder. This said, the cost of building your own house is a major investment. Typical costs per square foot for home construction can run anywhere from $100 to 130 depending upon where you live, and that’s for a moderately featured home. High end custom homes can cost upwards of $200 to $400 per square foot. And remember, these prices do not include the land costs. In regards to the general breakdown in costs associated with building your own house, if you are acting as your own general contractor a good rule of thumb is that the cost of labor, material and land should be about the same for each. Choosing the right piece of land for your home is essential. It’s important that you buy a lot that you can legally and functionally build on. Before buying any piece of land check with the local building and zoning boards to see if there are any issues with the property that would prevent you from building on it. In particular check that there are no easements, liens or restrictions on it that will prevent you from building the home of your dreams. Also, if the property will require a septic system check with a septic designer to see if he sees any concerns with the property. There are many rules and restrictions on where the septic tank and leach field can go relative to the home, a well, and standing water. Likewise the size of the septic system is dependent upon the number of bedrooms and bathrooms in the home. Also, if you already have a set of house plans it’s important to make sure you buy a building lot that will meet its unique requirements. You may want to talk with an architect before actually buying the building lot. A complete set of house plans are required to properly cost out the project, even if you are building your own house. The more detailed the house plans the more accurate your home building cost estimates. In addition, even if you are building your own house, you will most likely be hiring many subcontractors. In some cases you don’t even have a choice unless you are already a licensed plumber or electrician for example. Make sure when designing your house plans you consider all of your family’s needs, both now and in the not-so-distant future. Often people build a home that they outgrow after just a few years and end up either putting on a home addition afterwards or living with the cramped space. After generating a complete set of house plans you can then begin to find your subcontractors and obtain quotes for their respective portions of the job. This is where planning and attention to detail really come into play. Make sure to use spreadsheet tools to keep track of cost proposals and separating out material and labor costs. Also put together a timeline for the entire project to determine when you will need to bring in each particular subcontractor. Always include money and time contingencies for unexpected issues that will inevitably crop up. 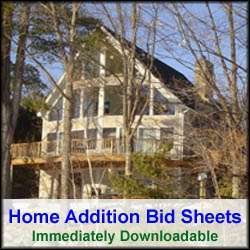 See my New Home Construction Bid Sheet to help you plan, manage and hire the right contractors for your home building project. Once your plans are complete and you have an accurate assessment on the total cost of building your own house, visit your local building inspector, and zoning board if necessary, and pull your permits. Where necessary have the subcontractors pull their respective permits. Unless you have deep pockets you will need to obtain some financing. With house plans and estimated costs in hand visit your local banks to see what they can provide for you in terms of a construction loan. If possible find a construction loan that is convertible over to a conventional loan upon the home’s completion. With a construction loan disbursements are made after set milestones are completed on the project. The interest charged on the loan is based upon the amount and size of the disbursements made. During the actual construction of your home make sure to visit the job site regularly, preferably daily if you are acting as the general contractor. It’s important to make sure the home is being constructed to the house plans so that you pass inspections and you get the home you planned for. Don’t hesitate to bring up problems when you see them. Delaying the conversation with a subcontractor will only cost you more money and frustration in the end. Also, make sure you schedule inspections well in advance so that you don’t miss a beat in the construction of the home. Ask the local building inspector what specific inspections he will require so that you can plan accordingly. Make sure to order all long lead items well in advance so that you don’t end up having to slow down the job to wait for windows, cabinets or other expensive special order items to arrive on the jobsite. To conclude, the decision to build your own house is a major one, so think long and hard before going down this path. It can be very rewarding from both financial and self-accomplishment standpoints, but it’s a lot of work and there will be headaches. If after some self-reflection you can honestly say you have the right personality and time to be your own general contractor then forge ahead and build your own house. Otherwise, invest in a general contractor and let him manage the construction of your home.